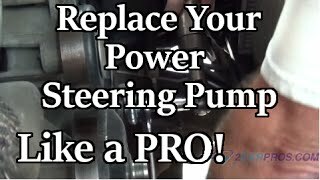 Step 1 - When replacing a power steering pump the main drive pulley MUST be removed and reinstalled onto the new replacement pump. This pulley is pressed onto the input shaft of the pump which then in turn drives the inner pump workings. This connection allows the engine to transfer its power through the serpentine belt which is fitted over the power steering pump pulley. Step 2 - The tool will take up about 12 inches in front of the pump so you must clear or remove the pump mounting bracket to allow room. 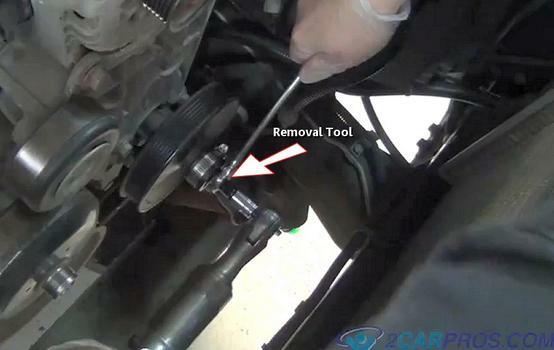 Once this has been achieved and there is sufficient room in front of pump attach the removal tool by fitting the tool into position and using force to turn the press. Step 3 - When the tool starts working you will here a "pop" informing you the pulley has started moving. 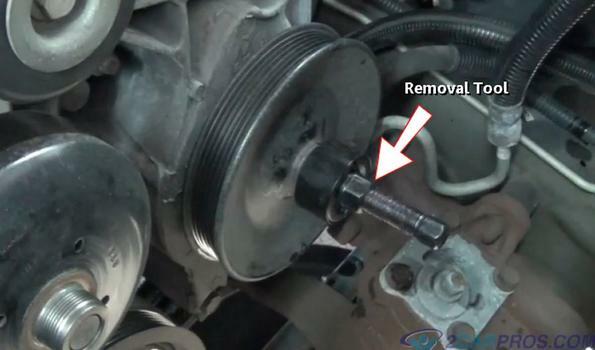 Continue this action until the pulley becomes free of the pump input shaft. 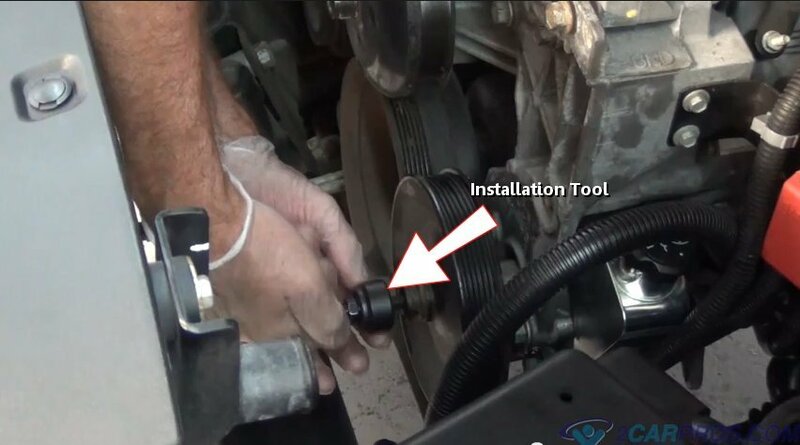 Once repairs have been made and the pulley needs to be re-installed' it's best to first warm the pulley to about 120 degrees F.
Step 4 - Make sure the shaft the pulley will be installed on is clean from rust and nicks, this will make the installation processes more difficult. If debris is present use a small piece of sandpaper to smooth out the surface before installation. DO NOT LUBRICATE THE SHAFT OR PULLEY. If grease or oil is present clean thoroughly before installation. 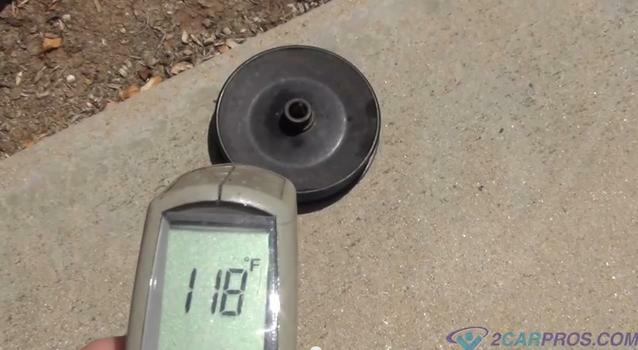 Anything but a clean surface can cause the pulley to slip which would create a failure. Step 5 - Once the desired temperature has been achieved gently align the pulley onto the shaft. Gently spinning the pulley will ensure a "square mount" which will start the correct alignment before the installing. Step 6 - By turning the pulley you can take the wobble out which indicates the pulley is square. 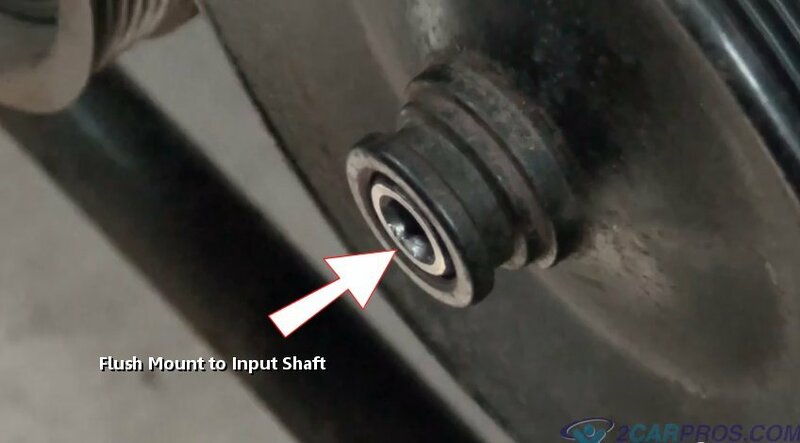 Next connect the installation tool to the front of the pump input shaft. Step 7 - Once the installation is inserted tighten the collar against the pulley. 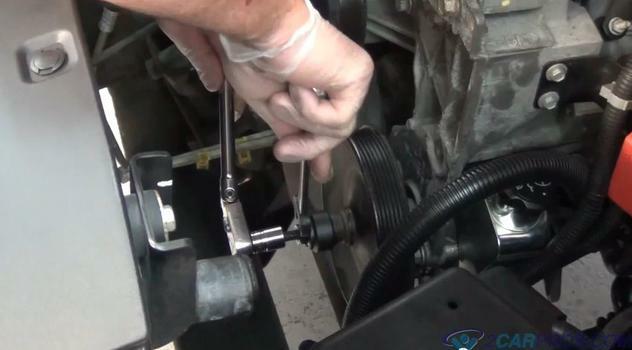 Then continue tightening with wrenches and a ratchet. Step 8 - Continue to tighten the tool until the pulley is completely installed which means it needs to be flush with the pump input shaft. 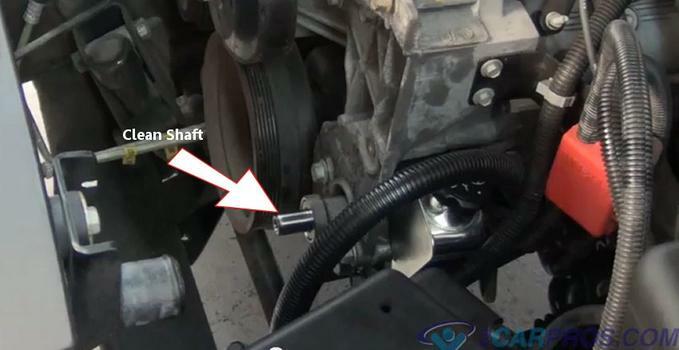 Once the pulley is flush with the input shaft the installation is complete. Reassemble as needed and re-install the serpentine belt. 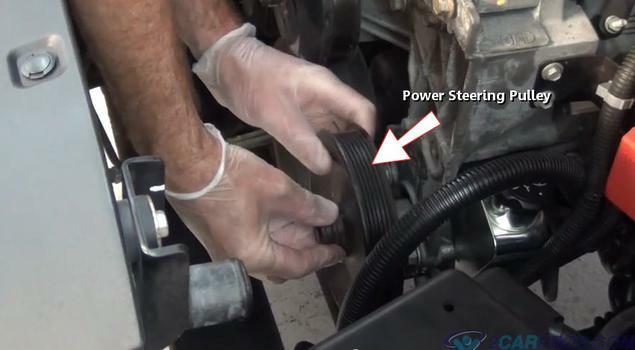 Inspect serpentine belt and replace as needed.